John Chisholm has three decades of experience as entrepreneur, CEO, and investor. In 1997 he founded and for a decade served as CEO/Chairman of CustomerSat (now part of Confirmit), a leading provider of enterprise feedback management systems. 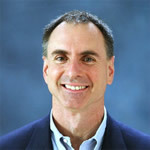 A pioneer in online marketing research, in 1992 John founded and for five years served as CEO/Chairman of Decisive Technology (now part of Google), publisher of the first desktop and client-server software for online surveys. Earlier he worked for or consulted to GE, HP, Xerox, GRiD Systems, Pyramid Technologies, Ventura Software, and Network Appliance. He is president and chairman of the worldwide MIT Alumni Association and a trustee of MIT and of the Santa Fe Institute. He is a member of the Global Partners Council of the Institute for New Economic Thinking (INET) and serves on the advisory board of the Gruter Institute for Law & Behavioral Research. He advises entrepreneurs through the MIT Venture Mentoring Service, the Thiel Foundation 20under20 Fellowship, and the Plug and Play Tech Center. John has been a regular contributor to Forbes and chaired the Stanford Institute for the Quantitative Study of Society, one of Stanford’s independent laboratories. He has served on the advisory board of the Network for Teaching Entrepreneurship (NFTE), on the visiting committee of the MIT math department, and on the Market Research Council of the Association for Interactive Media. He is author or co-author of two US patents. He won DEMO God at the DEMO 99 technology business conference. Build Your Ideal Business (Greenleaf, October 2015). He holds BS & MS degrees in Electrical Engineering & Computer Science from MIT and an MBA from Harvard Business School. An avid mountain climber, he has summited Mounts Rainier, Shasta, Whitney, St. Helens and live volcanoes in Chile & Indonesia.